/ Modified jan 10, 2019 12:13 p.m.
Gov. Doug Ducey ordered flags to be lowered to half-staff following the death of police officer Clayton Townsend. PHOENIX — The driver of a vehicle that fatally struck a police officer on a Phoenix-area freeway was texting his wife before the crash and has been arrested and accused of manslaughter and other crimes, authorities said Wednesday. 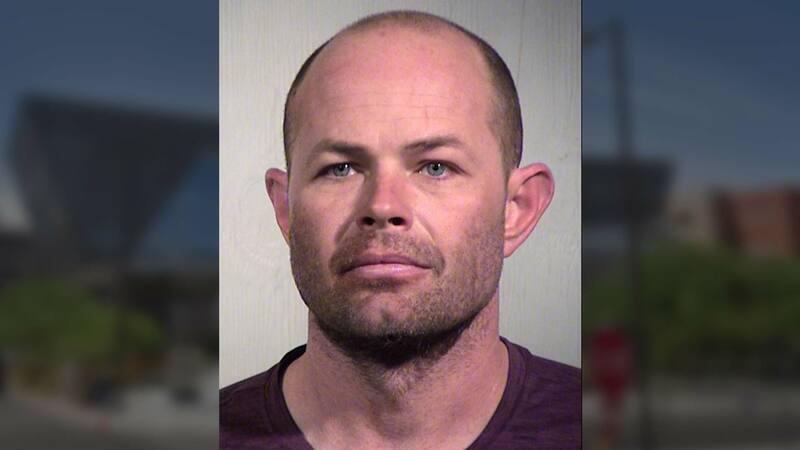 Jerry Sanstead, 40, told investigators he was driving home from work and reading and writing text messages to his wife about plans for the evening before his vehicle struck Salt River police Officer Clayton Townsend, according to the Arizona Department of Public Safety. Image of Jerry Sanstead released by the Maricopa County Sheriff's Office. Townsend was standing in an emergency lane next to a vehicle he had pulled over on the Loop 101 freeway near Scottsdale when he was struck about 6 p.m. Tuesday. A witness told authorities that the driver who struck Townsend was looking down at his phone and crossed two traffic lanes before the accident. Sanstead, of Scottsdale, was jailed on suspicion of manslaughter, aggravated assault with a deadly weapon and endangerment. Bond was set at $100,000 for Sanstead, who is self-employed and didn't have an attorney at his initial court appearance Wednesday evening. Officials said Townsend was married and had a 10-month-old child. He had served five years with the Salt River Police Department, an agency of the Salt River Pima-Maricopa Indian Community. Salt River Police Chief Karl Auerbach called Townsend caring, compassionate and "truly a guardian of the people." Arizona Gov. 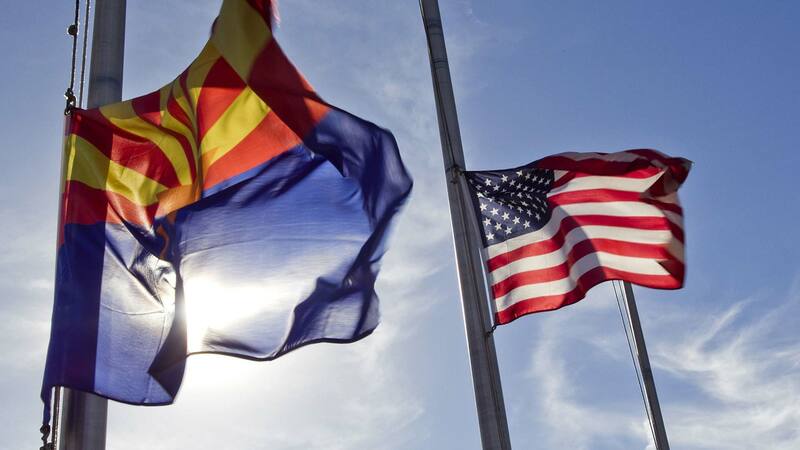 Doug Ducey ordered flags at all state buildings lowered to half-staff Wednesday. Ducey said in a statement that "prayers and deepest sympathies go out to the family and friends of Officer Clayton Townsend as well as to the men and women of the Salt River Police Department."